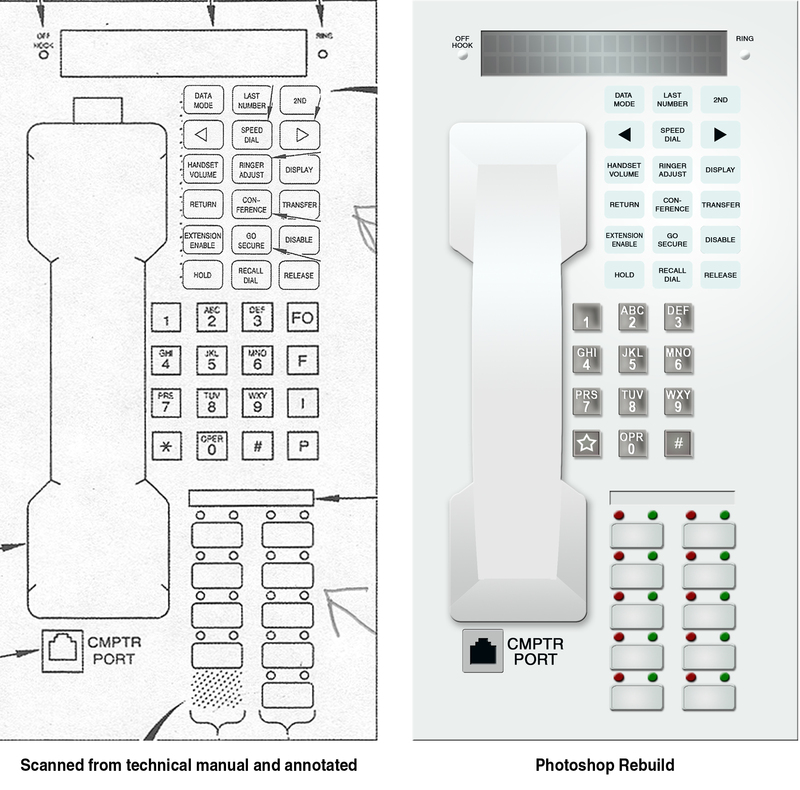 Given the drawing (left) from a technical manual, I created this realistic telephone using Photoshop. This entry was posted in Photoshop Realism. Bookmark the permalink.